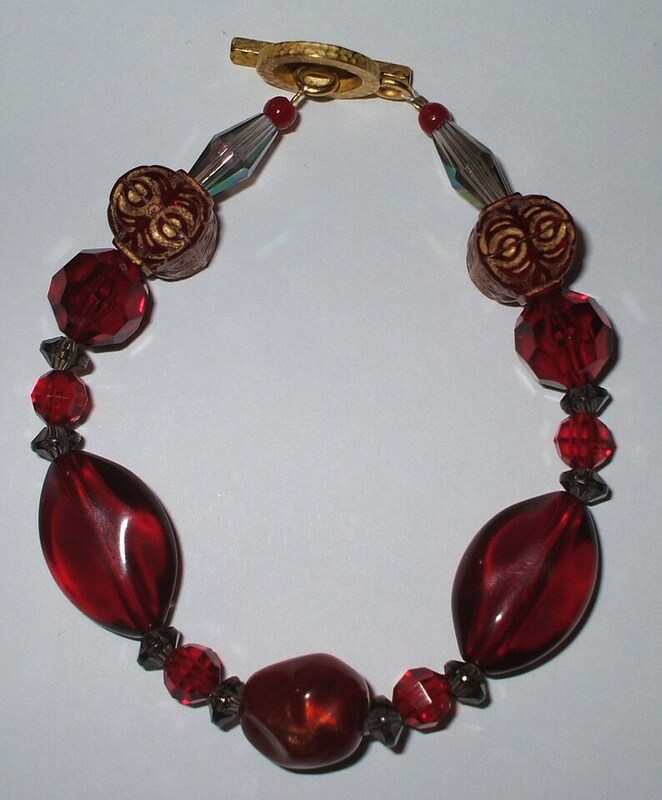 This bracelet is made up of Acrylic beads and a hammered gold toggle. Rich red ruby tones and Chinese-like patterns make it feel like you've taken a trip to China! This will easily fit a 7" - 7 1\/2" wrist.